HUSQVARNA’S forthcoming Vitpilen 401 and Svartpilen are likely to be made in India, according to reports coming out of the country. The Vitpilen and the more scrambler-style Svartpilen are potentially going to be manufactured in at the Bajaj-KTM plant in Chakan, south west of Mumbai, claims India’s Business Times. The news comes after Amit Nandi, the senior vice-president of Bajaj, hinted that a new range of 'made-in-India' Husqvarnas would be built at some point in 2017. 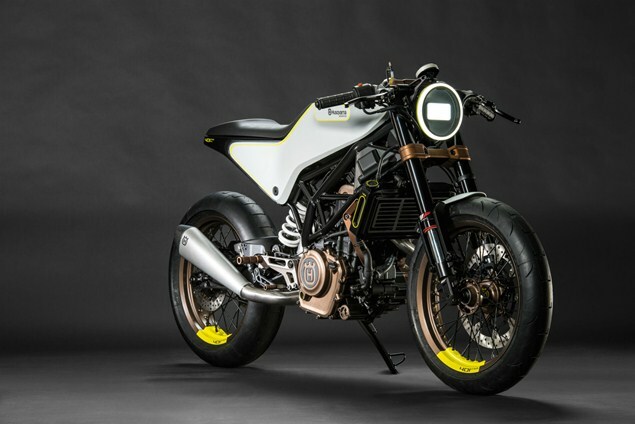 After being shown as concepts in 2014, Husqvarna has already confirmed its return to the road with the 373cc 401 Vitpilen (based on the KTM Duke 390 and RC 390) and its knobbly-tyred Svarpilen stablemate, which will go on sale by spring 2017, along with a 125cc variant (based on the KTM 125 Duke and RC 125). A prototype of the Vitpilen 401 was spotted being tested in Spain last year. The larger capacity 690cc Vitpilen 701 that was first revealed at last year’s Eicma show is also certainly heading for production.